Jimmie Council's Auto Repair Offers Auto Repair Services You Can Count On! 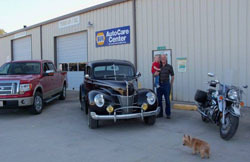 Jimmie Council's Automotive Repair has been providing quality car care in Williamston, NC, since 1954. Our services include: 4x4 Services, Alignment, Brakes, Car & Truck Care, Domestic Cars & Trucks, Electrical Services, Electronic Services, Engine & Transmission, Engine Maintenance, General Services, Heating and Cooling Services, Import Cars & Trucks, Inspections and Emissions, Miscellaneous Services, Tires, Towing, Transmission Services and Undercar Services. Our shop employs honest ASE-certified technicians and mechanics, and we use the latest technology and equipment for our repairs. Because we are a certified NAPA AutoCare Center, we are able to provide the benefits of an established national company while offering the personal touch of a local business. We have years of experience working on both domestic and import vehicles of all makes and models and can work with you to find cost- effective repair and maintenance alternatives. At Jimmie Council's Auto Repair, we understand that your vehicle is a major investment, and that is why we care for each customer's vehicle as if it were our own. 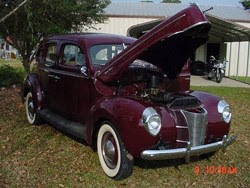 We also specialize in Classic Auto Restoration & Radiator Repair! For quality car care, trust Jimmie Council's Auto Repair with your car, truck, or van. Come by and visit our clean and professional shop in Williamston, NC 27892, contact us by phone at 252-792-2350, or send us an email.